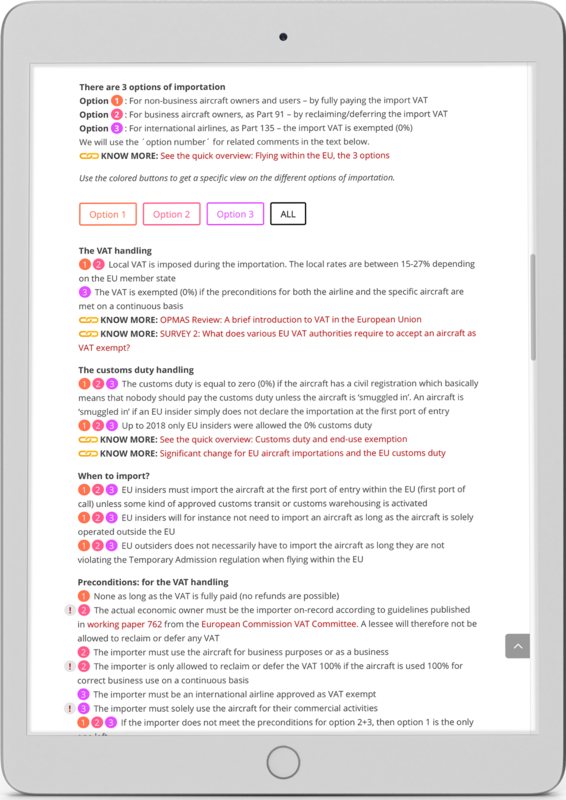 – discussing post-Brexit customs procedures when flying within the EU and the UK post-Brexit! FLYING WITHIN THE EUROPEAN UNION? We have assisted hundreds of aircraft owners and operators with the proper importation of their aircraft into the EU. If you have any questions in relation to importation of an aircraft, VAT or duty on aircraft – call us now. At OPMAS, we have dealt with aircraft customs handling for more than two decades. This is the only service we provide. We are not involved in financing, offshore tax structures, tax planning or yachting etc. We focus strictly on aircraft importation and admission matters for aircraft owners and operators flying within the EU.